Are you a reputable loft conversion company? Yes we are, we are a specialist loft conversion company from Essex who designs and build high quality loft conversions to suit you and your home. How do I know if my loft can be converted? You will need to have a minimum of approximately 2.4m height in your loft to be able to convert it. If you have less than this, then we can come and look at your property and recommend other ways of maximising the existing space you have. Are you able to do deal with all the relevant authorities and draw up my plans? 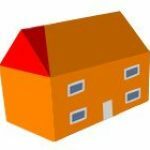 At Essex Loftspace we have many years’ experience dealing with local Council’s and have submitted many applications for relevant permissions. Not all loft conversions will need planning permission but all loft extensions will require building regulations. We are highly experienced at drawing up plans using our design expertise. Also some customers already have or like to obtain their own plans, which we are happy to work with. How long does the planning stage take? It depends on the type of permissions required for the type of loft conversion you are going to have. It also varies from different local authorities, so we can advise you at the time of site inspection. Can I see a portfolio of your work? Yes of course you can. We would be happy to put you in touch with the clients that we have completed loft conversions for as well as references from other satisfied customers. We pride ourselves on the work we have carried out and would love you to see this. Additionally, you can take a look at our Gallery section on this website for examples of our work. Will I have one point of contact whilst work is being carried out? We are more than happy for you to liaise with one person throughout the whole project. We will also provide you with one telephone number for you to use in case you want to ask any questions about your loft conversion. We are a company who pride themselves on a first class service and like to think we add a personal touch to our services. How long will building works take? A loft extension will normally take around six weeks to be completed. This is for a normal terraced property. it will take longer if the property is detached and is more complex. 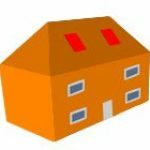 We can give you an estimate of the build time when we have been to visit your property and you have decided what type of loft conversion you would like. We will then give you a free no obligation quote for this project. Will weather affect my build? We do our utmost best to complete all of our projects on time, however in times of heavy rainfall or high winds a delay may occur. The weather is unfortunately out of our hands! We will ensure your property is protected at all times throughout any bad weather spells. Will there be much upheaval while work is being carried out? For all loft conversions we try to keep any disruption to your house at a minimum. We usually access your property from the scaffolding we erect outside your house and use this as platforms to work from. Our team will ensure that everything is left tidy at the end of each day. There may be times when disruption and inconvenience cannot be avoided, but we will keep this to a minimum. We will endeavour to start work within a month of all the relevant permissions being granted, however this can be sooner depending on our current schedule of works. We will ensure that everything is costed for in your free estimate; however, you will need to budget for additional cosmetic items such as tiling, floor coverings and decoration. Is the work carried out guaranteed? We will provide you with a 10 year Guarantee, giving you peace of mind that your work has been carried out to the highest of standards. If you have a new flat roof fitted then we offer a 25 Year Manufacturers Guarantee on this. 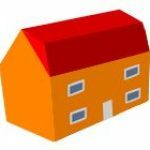 Can I have a loft conversion if I live in a terraced house? 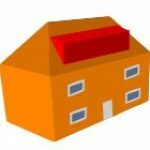 Yes, it is possible for you to have a loft conversion but we will recommend that you have a mansard loft conversion or a single or side dormer as these are more suitable for terraced houses. Does Essex Loftspace offer any other services? Yes, we are now happy to say that we build home extensions, orangeries and can refurbish any property. We also replace old flat roofs with a new Firestone EPDM Rubber Membrane roofing system. If you live further a field, then please give us a call as we maybe able to help you. Do I need planning permission for an orangery to be built? This will depend on the criteria of your orangery. Not all orangeries will need planning permission but this is something we can discuss when planning the whole design. Do you sub-contract out any of the work? No, we will never do that. We use all our own builders and qualified electricians, plumbers and decorators when completing any projects.